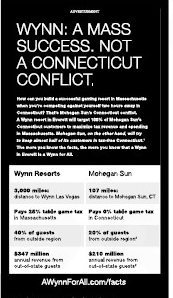 As the Great Boston Casino Slapfight proceeds apace, both local dailies ran the same Wynn Resorts ad yesterday. 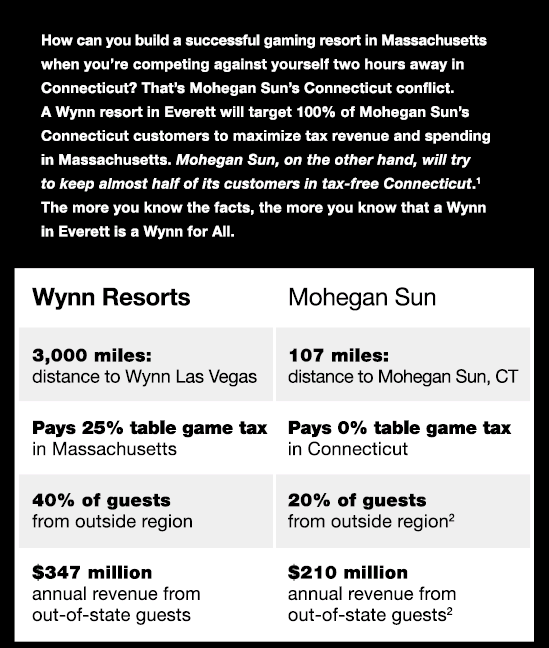 Only difference: The Boston Herald version ran in the Business section and was not labeled ADVERTISEMENT. This entry was posted on Friday, April 4th, 2014 at 12:33 pm and is filed under Uncategorized. You can follow any responses to this entry through the RSS 2.0 feed. You can leave a response, or trackback from your own site.